Have you ever dreamed about working for the National Aeronautics and Space Administration (NASA) in some ground-breaking aeronautical human-factors research? Didn’t think you’d have the stomach for it? Not fit enough? Well think again. 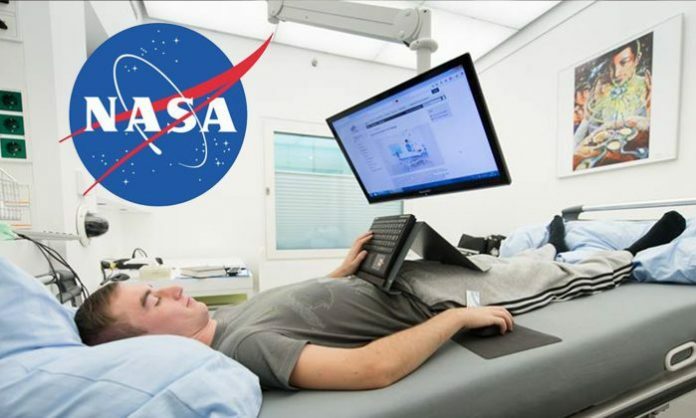 NASA is offering volunteers 16,500 euros (A$26,175) to lie around in bed for two months watching television. In collaboration with the European Space Agency (ESA) at the German Aerospace Centre (DFR) 24 participants (12 females and 12 males) will be paid to stay in bed while they are subjected to a 60-day observation under bed rest. The Artificial Gravity Bed Rest Study (AGBRESA) was launched this week and is the first time scientists will investigate the use of artificial gravity as a way of preventing the negative effects of the absence of gravity on the human body. The participants will be separated into two groups but housed in a single room. Beds will be angled downwards towards the head end by six degrees in order to simulate the displacement of bodily fluids experienced by astronauts in a space shuttle. The volunteers will do a number of activities lying down, such as eating, watching television and reading. Half the participants will undergo testing similar to that of an artificial gravity chamber and will be spun around in a centrifuge (a machine with a rapidly rotating container that applies centrifugal force) at 30 revolutions a minute with the aim to force blood back into their extremities. The other group will not be moved. Throughout the study, scientists will test participants on their cognitive abilities, muscle strength, balance and cardiovascular function. By comparing the physical deterioration of the two groups, researchers hope to see data that will help mitigate the effects experienced by astronauts during long-term space travel. Jennifer Ngo-Anh, Team Leader in Human and Robotic Exploration at ESA, says that the study allows the researchers to ‘address the issue of muscular atrophy caused by weightlessness’ as well as other stresses including cosmic radiation, isolation and spatial restrictions. This study is yet another example of the wide-scope and importance of human factors understanding in aviation and space flight. Human Factors has been an importance component in safe flight since the days of ballooning when the dangers of hypoxia where first recognised. 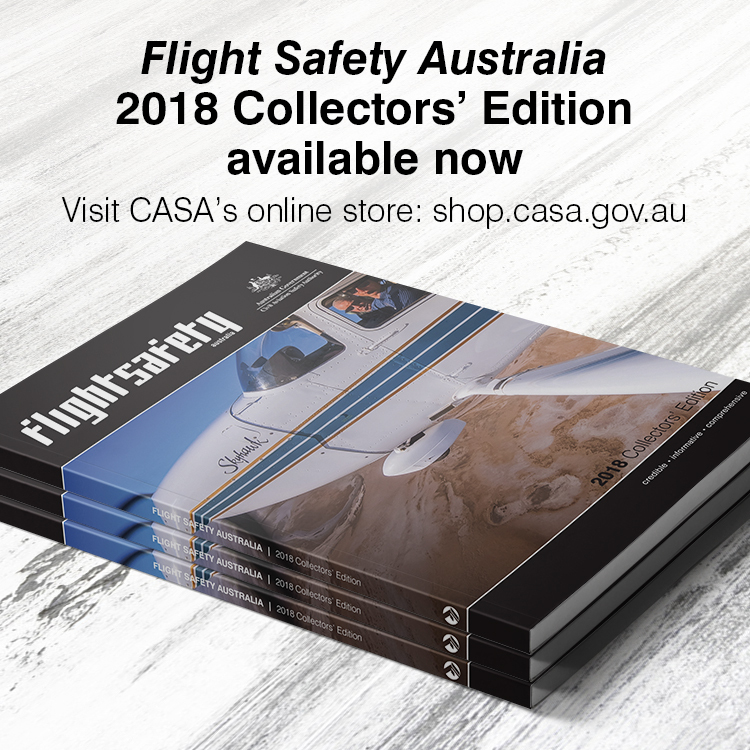 Flight Safety Australia looked at this in August 2014 in Do not go gentle: the harsh facts of hypoxia. The AGBRESA study will have two campaigns. The first started on 25 March followed by a second campaign in early September. Applications for the second study close on 24 May. If you would like to volunteer, email probanden-bit@dlr.de. Applicants must speak German to be eligible. Sprechen Sie Deutsch? NASA provided the foundation of our aviation nav aids . How did it start.? This vid from the1960’s is well worth watching for any aviation enthusiast /professional..